Give me this over any number of super-A's from the 50's. Indian massacre clams parents of a kid who grows up to be Ben Johnson. The horse that got away is what he spends years seeking, Ben getting a jump on Ethan Edwards, only he seeks equine flesh rather than Natalie Wood's. Wild Stallion isn't heavy like The Searchers either, being about little other than pretty steeds and how tough they are to tame. Johnson stunt rides as he had for John Ford, this time before Cinecolor cameras for Allied Artists. He doesn't like cruelty to animals and soundly thrashes ones who practice it. There's love interest with Martha Hyer, largely downplayed, Ben sure enough a cowboy who'd prefer kissing his horse. Wild Stallion rides gentle and there isn't much human villainy. Shows like this were about beauty of nature and majestic mounts running loose. 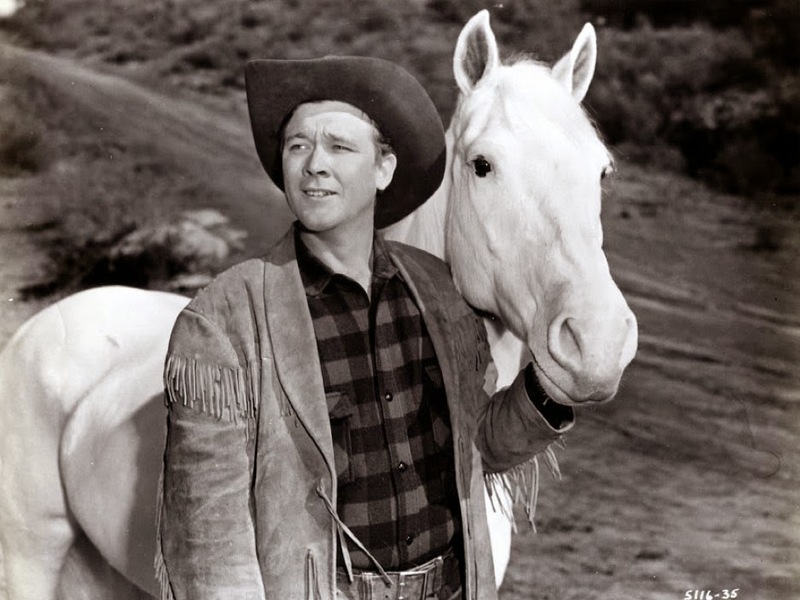 Tote up all the horse movies done in the late 40/50's and you'll find there's quite a few. They were economical to make and exhibitors liked them for non-violent, matinee bookings. 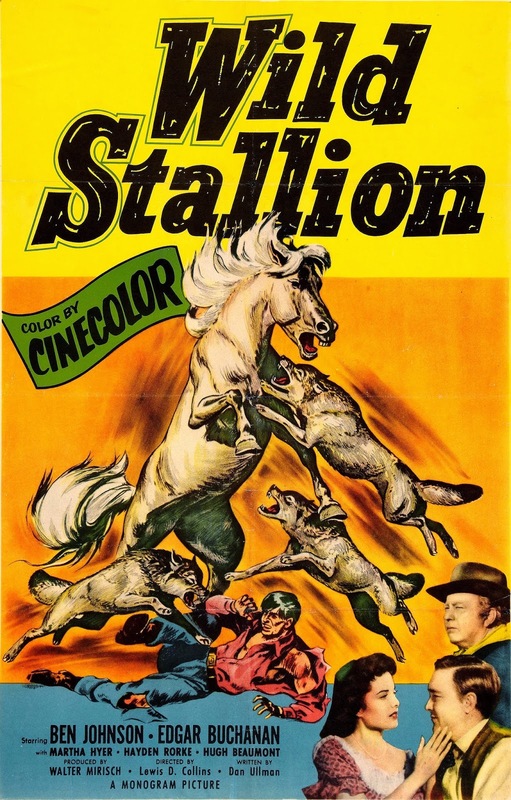 I'll bet Wild Stallion stayed in circulation for years after it was released in 1952. Warner Archive's DVD is lovely and a showcase for well-preserved Cinecolor.